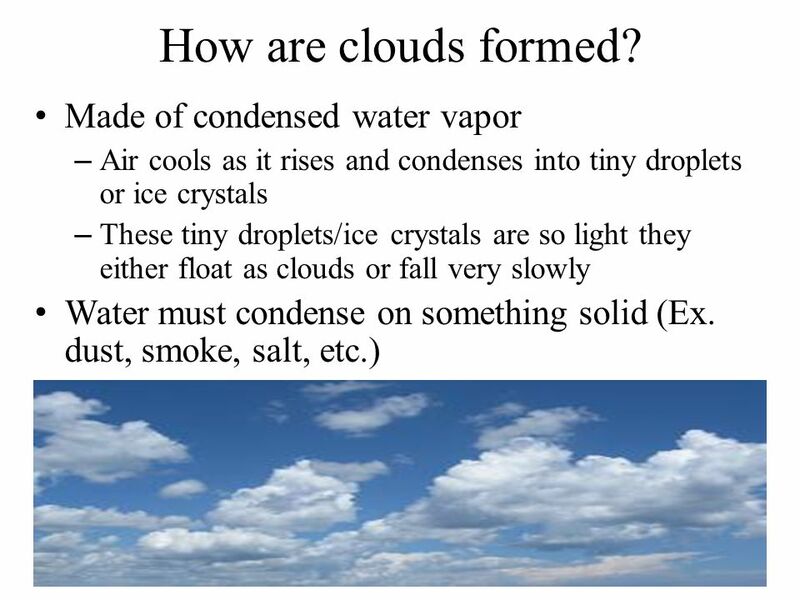 When there is sun, some of this water evaporates and rises into the sky. At altitude, it is getting colder and colder. This invisible vapor is transformed into droplets. They are so light that they remain suspended in the sky. 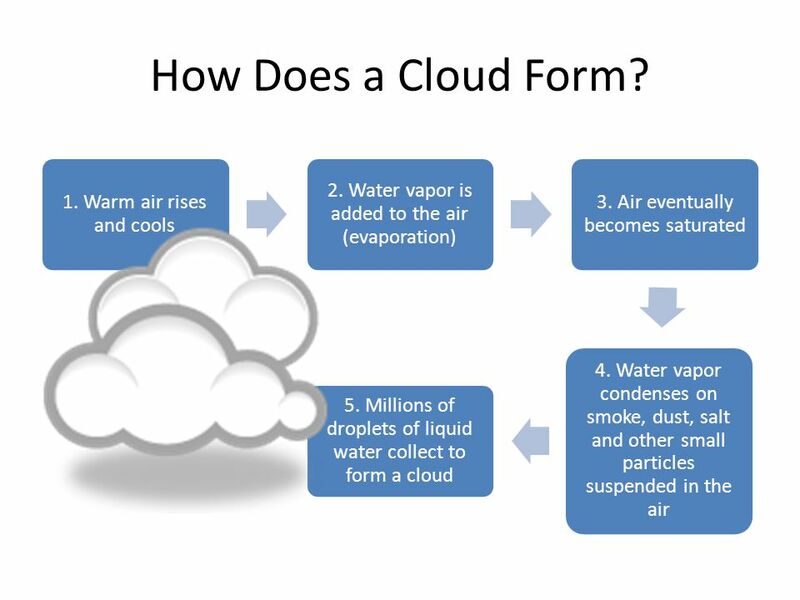 They form clouds. Seen from a plane or a high mountain, it looks like a sea of clouds!